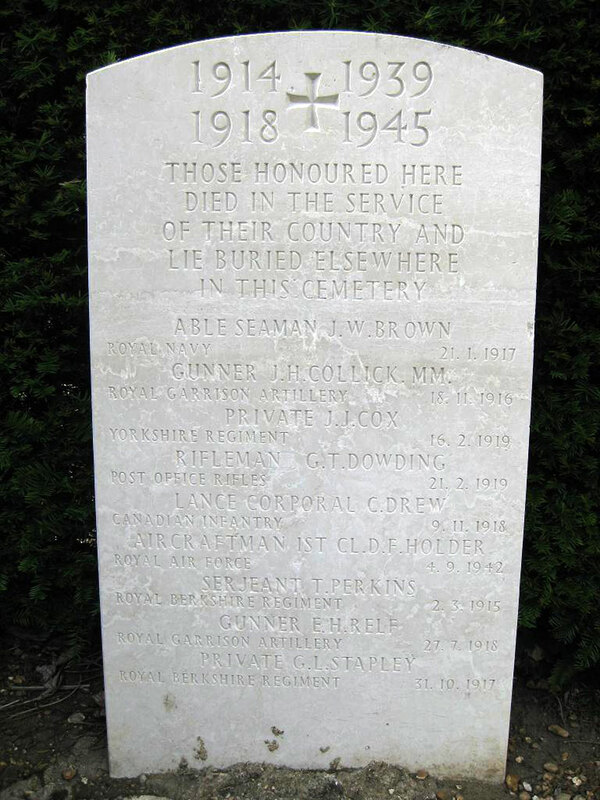 The War Graves Plot in Reading Cemetery is situated at the back of the cemetery, in the right hand corner from the entrance. A Screen Wall Memorial commemorates those buried in Plot 72 and those buried in other parts of the cemetery whose graves are not marked by headstones. 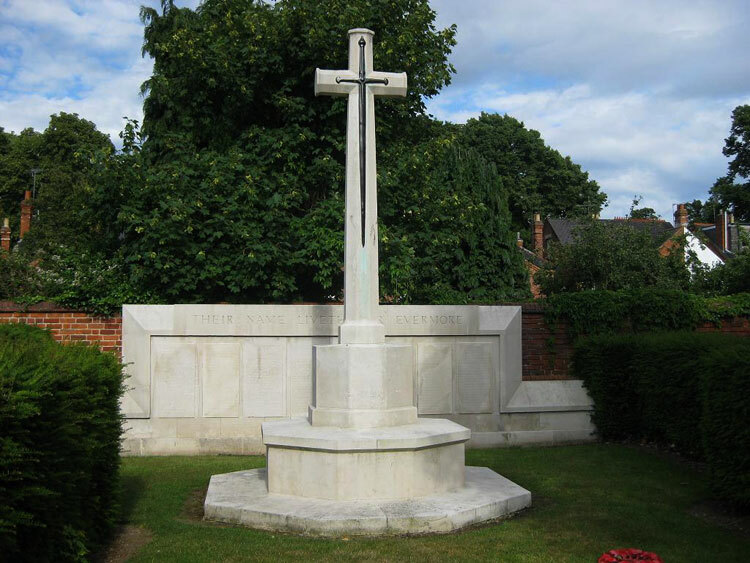 There are 205 Commonwealth burials of the 1914-1918 war and 41 of the 1939-1945 war. There is also 1 Serbian burial. One soldier of the Yorkshire Regiment is buried in this cemetery. His name is commemorated on a special memorial along with eight others from both World Wars. Private James Joshua Cox. 35577. 4th Battalion the Yorkshire Regiment, formerly 3801 Royal Berks Regt. Died at home 16 February 1919. Born Reading (Berks), Enlisted Reading.